Hoofddorp, Netherlands: Murata and Beta LAYOUT, a company specializing in rapid PCB prototyping services, today announced the launch of an RFID starter kit based on Murata's MAGICSTRAP® UHF passive RFID devices. Aimed at engineers and developers wishing to quickly learn about and incorporate RFID into their electronics design, the kit comprises a reader/writer board, communication software, two reader antennas and four different kinds of MAGICSTRAP® RFID tag modules. One reader antenna is designed for standard applications where the detection range is up to several metres. The loop antenna is provided for use in hidden applications such as for anti-counterfeiting and brand protection. Using the kit allows engineers to trial the full versatility and flexibility of MAGICSTRAP® RFID devices. Communication over short distances for individual tag connections can be experienced as well as bulk reading of MAGICSTRAP® based PCB tags as necessary in logistics processes. Typical applications for MAGICSTRAP® RFID include any type of electronics application such as mobile phones, industrial control, consumer electronics and test & measurement equipment. Alexander Schmoldt, Business Development Manager, Murata Europe comments, "The combination of Beta LAYOUT's excellent customer service and their rapid prototyping services makes them a perfect partner for Murata. Beta LAYOUT has a large pan-European customer base. They are a perfect partner for us to deploy our RFID technology into the electronics manufacturing and supply chain across Europe." "Murata's MAGICSTRAP® is exactly the solution we have been waiting for," says Arne Hofmann, CEO Beta LAYOUT. "Finally it is possible to use RFID on and in a PCB. Our solution to embed the MAGICSTRAP® in a PCB (patent pending) is not something far away in the future but available here and now. Aside from selling it as a service and product to our customers, we will also use it to improve our own processes. We are just at the beginning of a very exciting cooperation." For more information on Murata, please visit: www.murata.eu. 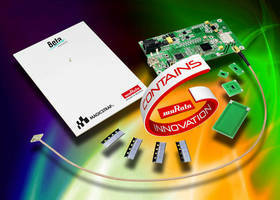 You can also follow us on Twitter @MurataEurope or LinkedIn www.linkedin.com/company/murata-electronics, or join us on Facebook at http://www.facebook.com/MurataElectronics. Beta LAYOUT customers range from small one-man companies and electronics hobbyists to the research & development departments of some of the largest and most recognizable companies in the world. Today, Beta LAYOUT not only delivers PCB prototypes and small series but also laser-cut SMD stencils, Front Panels and SMD soldering solutions and offers a wide range of other services from its bases in Germany, Ireland, USA and South Africa. RFID Value Creators names an open group of companies, which is aiming at establishing the passive UHF RFID technology as a connecting backbone in the value chain of the electronics industry. Current members of the RFID Value Creators in Electronics are Murata, Kathrein, Beta LAYOUT, alpha board, Enso Detego and Brooks. While offering information and consultation on available proven technologies the consortium helps interested companies to create value out of the use of passive UHF RFID. The clear focus of the consortium is on the development of standard solutions which will recreate the lost visibility in the supply chain of the electronics industry. In order to support industry wide standardization the consortium cooperates closely with industry associations such as the ZVEI or AIM Global.